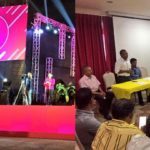 The opposition MDP officially launched its local council election campaign with simultaneous rallies in the north and south on Thursday night as the ruling party introduced its candidates for the Malé city council. 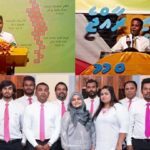 The main opposition Maldivian Democratic Party officially launched its local council elections campaign with simultaneous rallies in the north and south Thursday night as the ruling Progressive Party of Maldives introduced candidates for the Malé city council. Under the campaign slogan ‘Decentralised Maldives,’ the MDP’s rallies on the northern island of Dhidhdhoo in Haa Alif atoll and Addu City in the south emphasised the party’s commitment to devolving decision-making powers from the central government in Malé. “MDP has shown a way of development that allows us to preserve our islandness,” said Ali Niyaz, the party’s deputy chairperson at the Dhidhdhoo rally, contrasting the party’s policies to the government’s plan of relocating 70 percent of the country’s population to Hulhumalé. Other speakers also called on the public to vote for MDP candidates to defend and uphold the six-year-old decentralisation system. Abdulla Sodiq, two-term mayor of Addu City, said the MDP will win the seven seats on the city council as in the previous two elections. 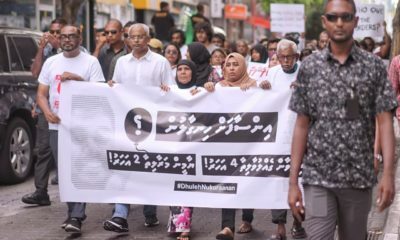 Several speakers noted that the Maldives’ biggest corruption scandal occurred under President Abdulla Yameen’s watch and criticised the government over rising commodity prices and electricity bills. The upcoming election is a chance to say no to the government, said MDP chairman Hassan Latheef. With both sides claiming to have the support of 80 percent of the electorate, the polls will be a crucial indicator of Yameen’s prospects for re-election next year. In the absence of opinion polls, it will also be the first gauge of public sentiment after the Maldives was rocked by multiple political crises since early 2015. Both the MDP and PPM have also been conducting door-to-door visits and small rallies on several islands throughout the Maldives. A team of lawmakers and other leadership figures from the MDP travelled to Addu City over the weekend, canvassed for support, and put up campaign posters. 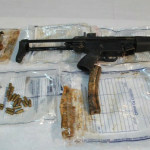 Teams comprised of cabinet ministers and ruling party lawmakers have also been travelling across the Maldives. The most active campaigner for the PPM appears to be First Lady Fathmath Ibrahim, known as Madam Fathun. 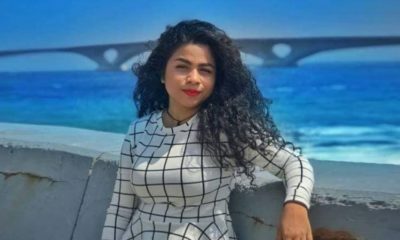 On Sunday, she concluded a tour of the two northernmost atolls, visiting the islands of Ihavandhoo, Hoarafushi, Kelaa, Utheemu, Hanimaadhoo and Dhidhdhoo. She was accompanied by Economic Development Minister Mohamed Saeed and several PPM lawmakers. During her visit to Utheemu, a ruling party stronghold, the only MDP candidate contesting for the island’s council signed for the PPM. Earlier this month, she also visited several islands in the southern Gaaf Alif atoll, including Maamendhoo, Nilandhoo, Villigili and Kolamaafushi. On each island, she visited persons with disabilities, met with social workers, and collected membership forms for the PPM. The tours are part of Yameen’s re-election campaign that she launched in February. Madam Fathun is the head of Yameen’s campaign office. The first lady was meanwhile the guest of honour at a PPM rally held at the bridge viewing platform in Malé to introduce the party’s candidates for the Malé city council. Speaking at the rally Thursday night, Majority Leader Ahmed Nihan caused a stir when he declared that the PPM-dominated parliament will restore powers and responsibilities stripped from the MDP-dominated Malé city council if ruling party candidates are elected. 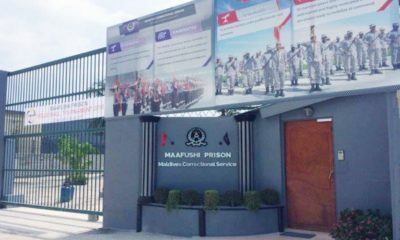 Most municipal services were transferred to government ministries, leaving the MDP-dominated Malé and Addu city councils with providing registration services and issuing birth and death certificates. 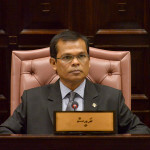 Nihan said the government took over the city council’s powers because the MDP-dominated council failed to develop the capital despite winning a majority twice. MP Abdulla Sinan said the PPM’s candidates will cooperate and work together with the government to solve serious and longstanding problems faced by residents of Malé city. 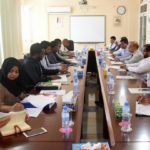 The local council election was previously scheduled to take place on January 14, but was postponed after the PPM petitioned the civil court for a two-month delay citing the loss of its database and membership registry. 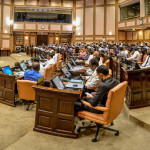 Elected local councils were introduced in the Maldives for the first time under the landmark 2010 decentralisation law as mandated by the 2008 constitution. The first elections were held in February 2011. In the previous local council elections held in January 2014, the MDP won 457 seats (41.5 percent) and the PPM won 281 seats (25.5 percent). 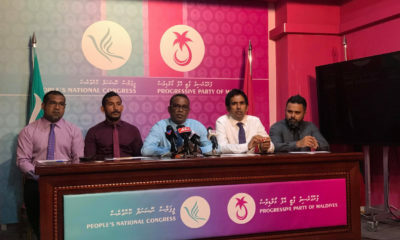 The PPM’s coalition partners at the time, the Jumhooree Party and the Maldives Development Alliance, took 125 seats (11.4 percent) and 59 seats (5.4 percent) respectively. 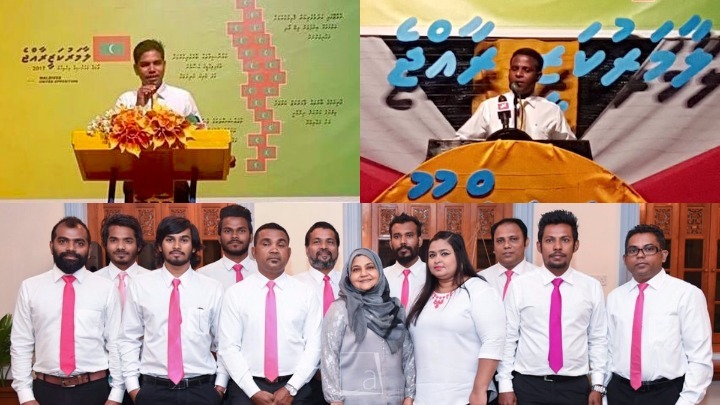 The Adhaalath Party secured 45 seats (4.1 percent) – including a majority in three councils – while the Dhivehi Rayyithunge Party won one seat (0.1 percent) and independent candidates won 132 seats (12 percent). Voter turnout was 63 percent, well below the 90 percent turnout in the presidential election of November 2013.